With a remarkable history and natural wonders as far as the eye can see, Tasmania is a destination that invites exploration and discovery. Tasmania’s unique history as the site of Australia’s first penal colony is laid bare across historic locations, including the legendary Port Arthur. Meanwhile, its many national parks with rugged mountains, ancient forests and beach lined coasts ensure adventure is around every corner. Spirit of Tasmania Assemble at the pier and cross the Bass Strait in style on the Spirit of Tasmania. Arrive in Devonport Arrive in the coastal city of Devonport. Launceston Enjoy a city sights tour, before visiting the beautiful Cataract Gorge. Port Arthur Ghost Tour Stop for dinner before joining a Port Arthur Ghost Tour, where you will hear ghostly tales and unexplained mysteries of Port Arthur's historic ruins after dark. 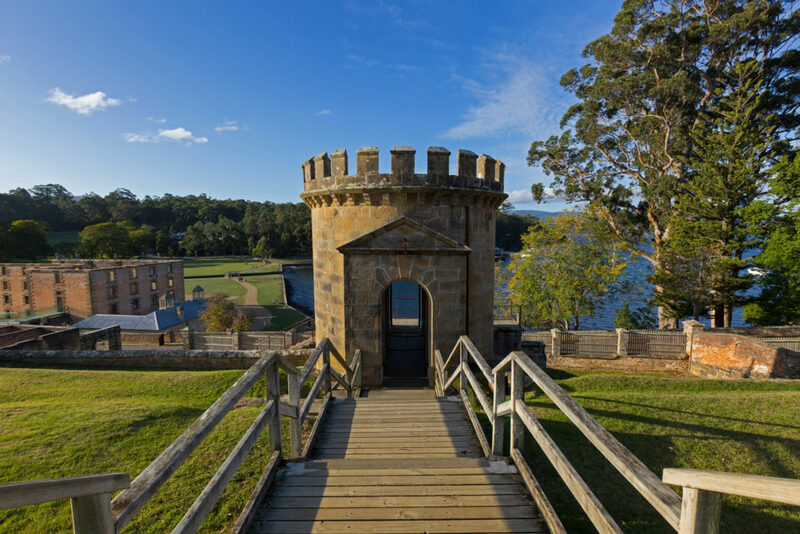 Port Arthur Visit the old penal colony and explore the fascinating ruins of the convict settlement. Visit the 1844 penitentiary, the infirmary and the model prison at Port Arthur. Enjoy a harbour cruise around the Isle of the Dead. Coastal adventure Continue your journey via the spectacular coastal road, taking in the sights of Devil’s Kitchen, Tasman’s Arch and the Blowhole. Tahune Airwalk Stop by the Visitors Centre of the Tahune Forest Reserve, before venturing to the Tahune Airwalk - a 570m walkway that’s 45m above the ground through the canopy forest. Sightseeing in Hobart Head back to Hobart and embark on a city sights tour of Salamanca Place, Battery Point and Constitution Dock. Mt Field National Park Take in beautiful panoramic views of Mt Wellington on your way to Mt Field National Park. Explore the sights of one of Tasmania's most loved national parks, learning about it's history, geology and abundant flora and fauna. Optional activity - Museum of Old and New Art (MONA) Experience one of the world's most unusual museums of modern art, MONA. Thank you for your interest in our WorldStrides Tasmania Highlights Tour! Please tell us a little more about yourself so we can get you sent to the right place.